Left: device A casting YouTube. 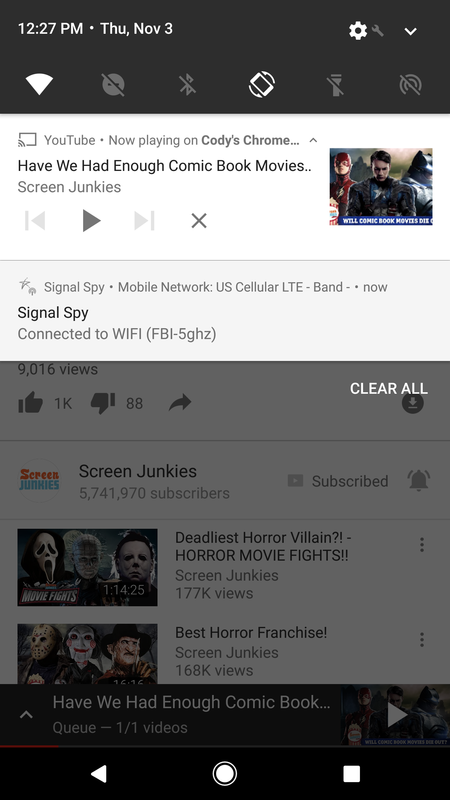 Center: device B with notification. 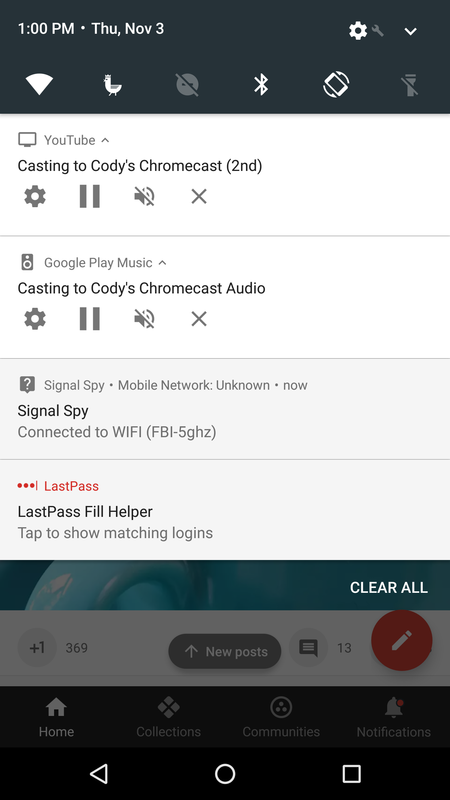 Right: 2 notifications showing for multiple Casts. Naturally, a few things must be true for the notifications to show up. First, you have to be on the same network as the Google Cast device. Second, the Cast device has to be a Chromecast and/or Chromecast Audio. 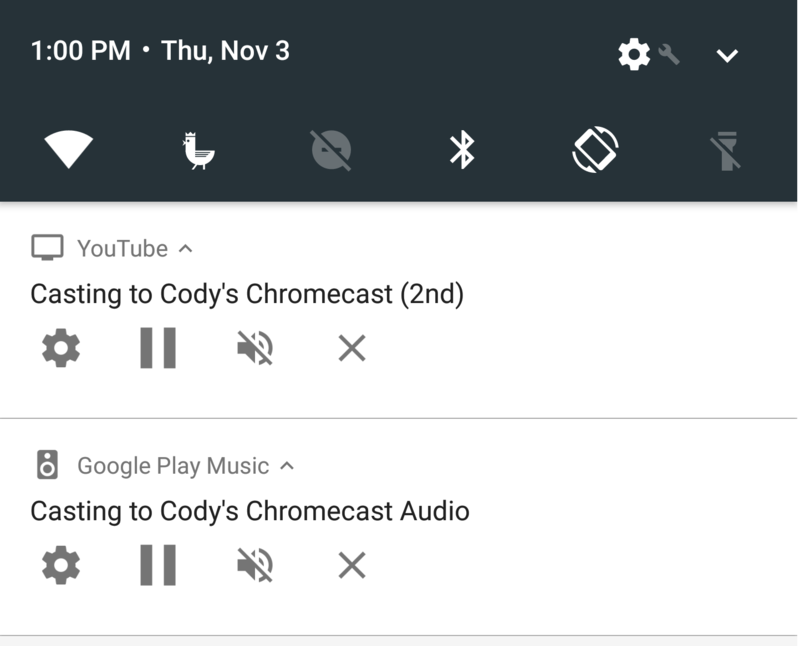 Unfortunately, it seems Android TV doesn't support this feature yet, but that will probably be enabled with the next update to the Google Cast Receiver. 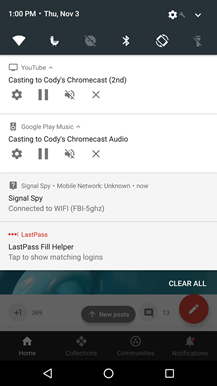 The casting device doesn't have to be on the latest version of Play services for the notification to appear on other devices. 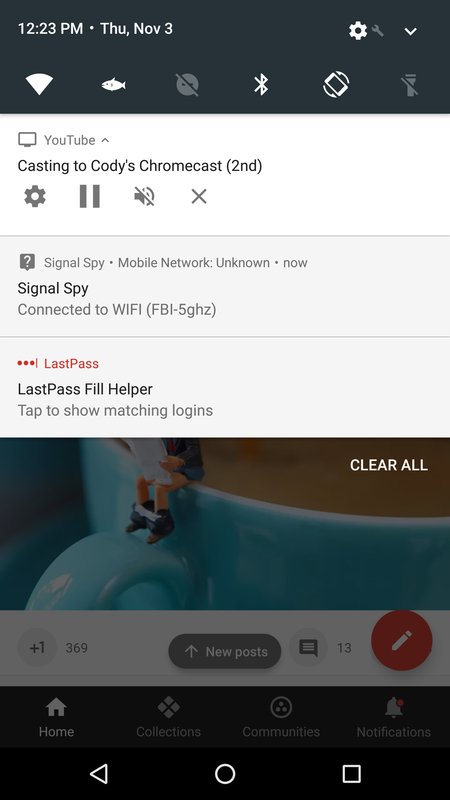 As far as firmwares, this worked for me with v1.21.74816, but it probably doesn't matter since the Google Home app could already perform the same functions, it just didn't have the notification to make them convenient. 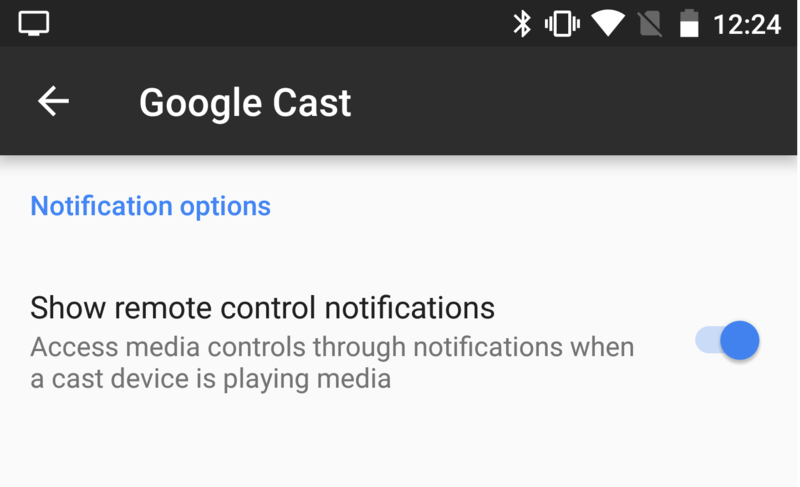 Multiple notifications will appear if there are multiple casting sessions active at the same time, which is either awesome or potentially a problem if you're in a house or business with a lot of Chromecasts. 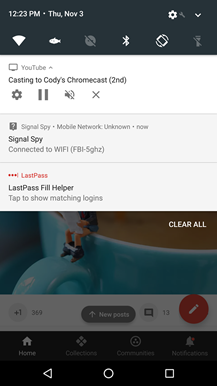 If these notifications turn out to be more of a nuisance to you than they are useful, each one has a button (the gear icon) that opens the Google Cast settings screen. Just flip the toggle to get rid of the notifications for good. Alternatively, you can open Settings on your phone, then go to Google –> Google Cast to reach the same screen. 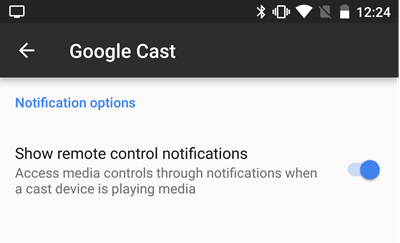 While people have wanted something like this for a long time, it's highly likely notifications with player controls were added to complement the just-released Google Home. After all, if you begin casting something with a voice command, it's not always ideal to have to use voice commands to control everything from that point on. Now if only this could lead to a more conventionally designed remote control that could do the same thing. We're still poking around for more features in Play services v10. This may be just the beginning. In the meantime, if you want to start seeing player controls for Cast devices, download the latest Play services update from the link below. Be sure to get a version appropriate to your device or keep checking back until there is one available.